Is Assisted Living a Good Option for Seniors with Limited Mobility? Decreasing mobility is a fact of life for many seniors. There are a variety of factors that can lead to limited mobility including injury, recent hospitalization, obesity, and arthritis. Decreased mobility can then lead to other issues for seniors when it starts to impair their ability to do everyday activities such as getting out to see loved ones, cooking, and physical self-care. If you have a senior in your life with limited mobility, then you know how difficult everyday tasks can become as mobility decreases. One option for seniors with limited mobility is assisted living. 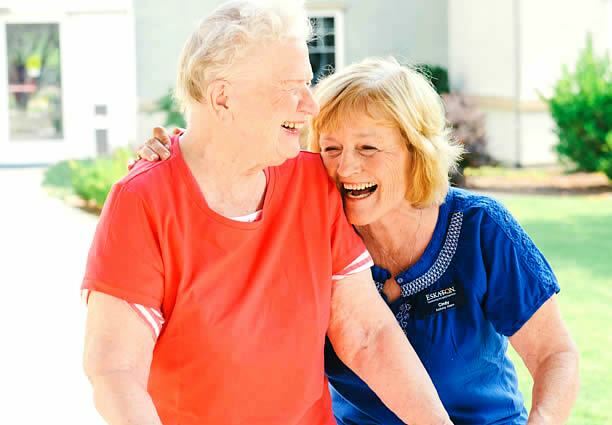 Assisted living communities are designed with seniors in mind and can accommodate those who have decreased range of motion all the way to those who have limited overall mobility. The layout and design of assisted living are created with the needs of seniors in mind. There is a range of need levels that assisted living communities can meet. Some seniors in assisted living are relatively independent and only need occasional help. Others need help on a regular basis with a wide range of tasks. The needs of seniors can vary but one common thread for many seniors is reduced mobility. Being unable to walk is not the only way that a senior may have reduced mobility. There are other areas where mobility can be reduced and cause difficulty with everyday tasks. For example, a senior with decreased range of motion in their shoulder may find tasks like getting dressed or taking something off a shelf extremely difficult, if not impossible. Seemingly small issues like this are common for aging adults. It may not seem like a big problem, but it can prevent the completion of important daily tasks like cooking and showering. In assisted living the design of the environment and the availability of trained staff can help seniors with a decreased range of motion. Seniors with limited overall mobility can thrive in the assisted living environment. The shared and private spaces of assisted living facilities are designed to be accessible to people with walkers or in wheelchairs. The staff in these communities are trained to safely assisted residents who have limited mobility with any necessary tasks. This could include tasks such as bathing, getting in and out of bed, eating, and other activities of daily living. Assisted living is an excellent option for seniors with limited mobility. It is a place where aging adults can get the help they need with current and future range of motion or mobility problems. The accessible design of assisted living facilities along with the availability of trained staff can help the senior in your life stay safe and feel at ease.